The i30 wagon, shown, differs from i30 hatchback from the B-pillar backwards with a sloping roofline at the rear. Hyundai says the styling adds dynamism to the car's stance. FRANKFURT -- Hyundai says it will target its new i30 station wagon at families. The car will debut at next month's Geneva auto show. 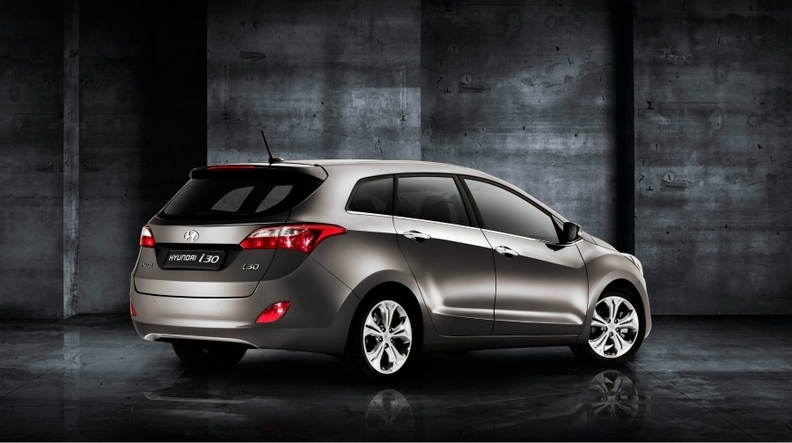 The wagon will be the latest variant of the brand's second-generation i30 range. "We expect it to appeal strongly to those looking for stylish and flexible practicality, especially active families," said Allan Rushforth, Hyundai Europe's chief operating officer, in a statement on Thursday. The wagon will arrive in European showrooms in July, joining a five-door compact hatchback that goes on sale later next month. A three-door hatchback will arrive in December. Like the hatchback, the i30 wagon was designed and engineered for Europe at Hyundai's European r&d center in Ruesselsheim, Germany. 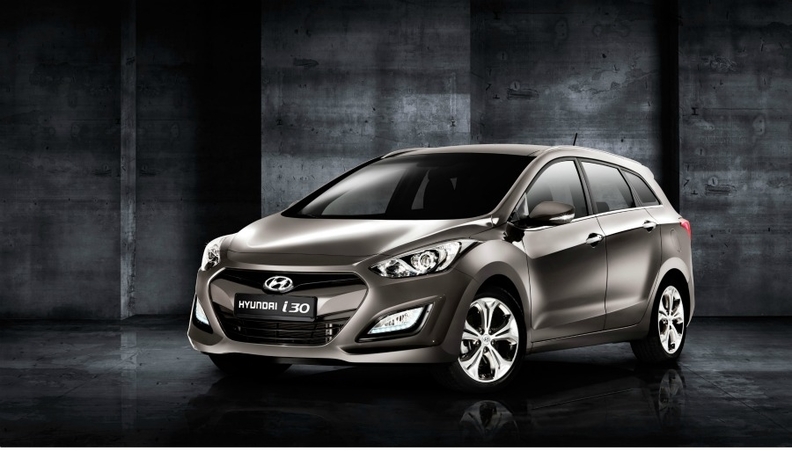 The i30 will play a key role in the automaker's plan to boost European sales to 500,000 units by 2013, up from more than 398,000 last year. Sales of the current-generation i30 dropped 12 percent to 101,328 units in 2011, according to market researchers JATO Dynamics. The wagon has the same hexagon-shaped grille and jewel-like headlamps as the five-door hatchback, but the wagon's overall length is increased by 185mm to 4485mm. This allows 528 liters of luggage space, which increases to 1,642 liters when the rear seats are folded down. The i30 has a deep tailgate that opens to bumper-level for easy loading. The car has a wrap-around rear windscreen that offers better visibility and a lighter interior. The wagon will be available with the same three gasoline engines and three diesel engines offered in the five-door model.